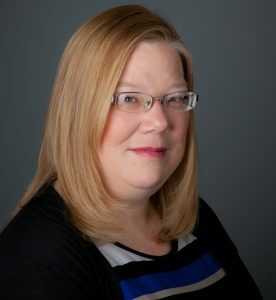 Karen Burhans Laing, CEO and Executive Director, is a public health educator who has been helping people navigate the health care system for over 10 years. Karen started her career as a preschool special education teacher, and then went on to design training programs for Stride Rite and several churches. After 20 years in the workforce, Karen returned to the University of Albany to study public health. Her desire to see people live a healthier lifestyle led her to focus on Social Behavior and Community Health. Health Literacy became her passion when she realized that our medical system was crippled by the fact that 88% of Americans are not able to communicate well with their doctors or make good health decisions on a daily basis. Karen is now using her training and experience to develop programs that are accessible to individuals with a wide range of learning styles and educational levels. In addition to her training, Karen lives in Schenectady with her 4 kids. Alyssa Plock is an Emmy-nominated storyteller and Principal of Alma Pictures, LLC. Her volunteer work has included teaching classes on publishing and church engagement, and poverty alleviation in the city of Schenectady. Nancie Orsini is the CEO of NLO Computer Talk. She has experience in Computer Programming, IT, Database Administration, Report Writing, Technical Sales and Engineering Support. Her specialty is in analyzing the needs of an organization, drawing on designs and structures of modern technology, to proficiently utilize software and its maximum potential for optimum data integrity and end user ease of use. She has a degree in Accounting from the College of St. Rose and studied AS and Computer Science at Junior College of Albany. Nancie and her husband, Dan, have three children. Gary M. Spadaro is the owner of Dynamic Dental Management, Inc., and is serving his third term on the Board of Education. After graduating from Mohonasen High School, he went on to receive a degree in Business Administration from Herkimer County Community College and a Bachelor of Science degree in Marketing Management from Siena College. He also attended the Division of Prosthodontics School Dentistry at the University of Michigan and the Leadership Management Institute. He serves on several boards, foundations and other community organizations, including the Mohonasen Foundation for Excellence, Inc., the Bradt Principal Advisory Committee, The Rotterdam Elks, the Rotterdam Business Association, the National Association of Dental Labs, the Pinewood Playground Committee and the PTO. Gary and his wife, Holly, have two children. Loretta Rigney is a Regional Leader with Primerica Financial Services who helps families become properly protected, debt free, and financially independent. A former Chamber of Commerce Executive in Southern Saratoga County, she has a particular passion for helping small business owners and their employees reach their financial goals. She is also the founder and ministry leader of Capital Region Kingdom Builders, a networking group for Christian business owners, professionals, and job seekers. With a background in marketing, public relations, social media, and event planning, she is often asked to share her expertise to assist with the planning of community and church events. Loretta resides in Scotia, New York, with her husband and daughter. Chuck Pettinato is National Board Certified Coach. He is also a credentialed member of the International Coaching Federation and received his certification from the Coach Training Alliance. He specializes in leadership development, organizational change, organizational health, team building, and employee engagement and is a Certified Wellness Facilitator focusing on organizational health. He is a consultant to organizations and churches seeking positive organizational change and is a an experienced and successful workshop presenter. He also is a New York State Certified Teacher who has had a successful career teaching university and high school level psychology and history. He received his BA at Le Moyne College and MA from The State University of New York at Albany. Chuck has spent a lifetime motivating groups and individuals to reach and share their potential to lead by adding value to others. Like what we do? Consider donating to support our work!